Rhinophalt is a low cost natural asphalt fortified preservation material, that has been proven to extend the life of asphalt pavements for a significant number of years. When applied to a sound surface over a solid structure, Rhinophalt is the ideal solution as part of a preventative maintenance regime. Optimum results will be achieved by applying Rhinophalt before the surface begins to show signs of degradation, such as oxidisation or ravelling. 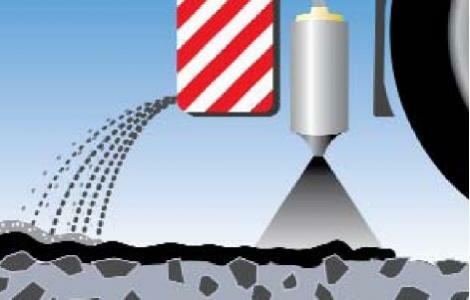 All classes of highways, airfield runways and any other bituminous bound surfaces can be treated with Rhinophalt and tests have shown that it will preserve the treated surface for 5-7 years. Repeated applications, typically every 5 years, will extend this life further. 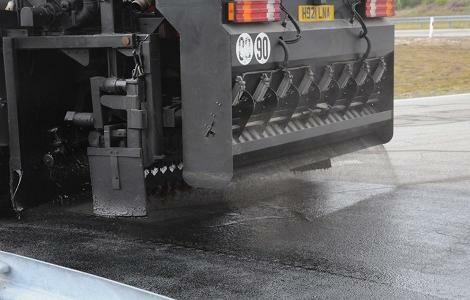 Rhinophalt is a cold, spray applied material which is applied to the asphalt surface using a specialist computer-managed vehicle for large areas, and via a controlled spray for smaller areas. Cure time is typically 1 hour before trafficking. Environmental pressure and the ever-increasing costs associated with road works, traffic management and re-surfacing are becoming a burden to clients. 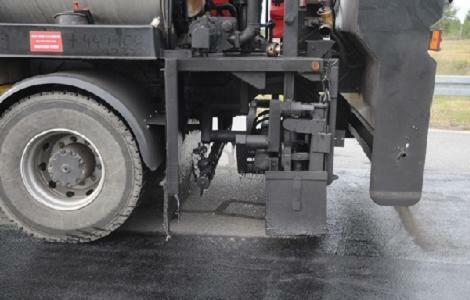 Rhinophalt has a proven ability to halt the surface deterioration of these essential infrastructure assets and significantly extend the serviceable life of asphalt pavements. This delivers unparalleled social, financial and environmental benefits when compared to traditional methods. Rhinophalt can be applied every 5 years to the asphalt surface without adversely affecting skid resistance or texture depth. Additionally, as an impregnated preservation compound, it becomes part of the treated bituminous material, removing any failure and delaminating issues. Although it is preferable to treat early in the life of the surface, the application of a preservative is often still effective later in the life cycle provided the base structure is sound. Rhinophalt works by penetrating into the existing bituminous matrix and introducing an extremely resilient membrane to protect the bitumen in the surface course. This membrane is impervious to water, and the chemicals used for de-icing, preventing their ingress, which would normally cause further deterioration of the binder. Rhinophalt also halts oxidisation of the bitumen and subsequent loss of maltenes – those elements of bitumen which are necessary for elasticity, viscosity and softness. Additionally the resilient membrane promotes cohesion between the treated bitumen and surface aggregate resulting in reducing ravelling and surface aggregate loss.